Does this label scare you? It should. No Veggies for me please! How opportune. The last post was all about landmark ingredients. If you haven't read that yet, please do. Today's post is a perfect example of a long list of ingredients just crumbling in front of your arsenal of knowledge. 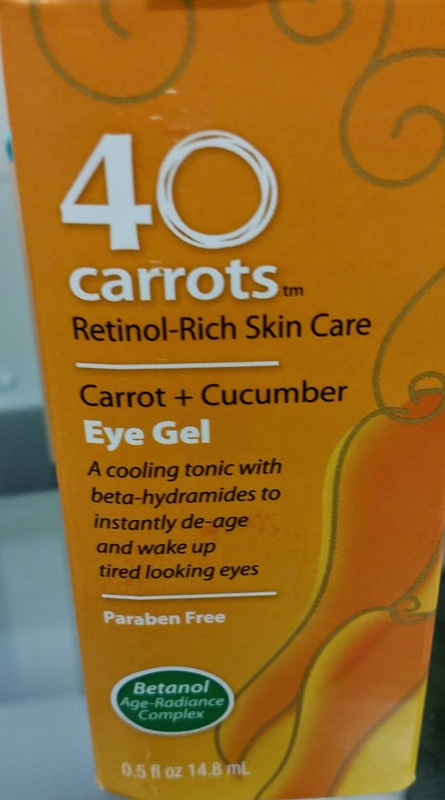 This offending ingredient label belongs to 40 carrots Retinol-Rich Skin Care Carrot + Cucumber Eye Gel. This product's label caught my eye without me even looking for anything. I just saw phenoxyethanol as the 2nd ingredient so I was pretty dismayed. After reading the previous post, you can pat yourself on the back because you'll know that this is pretty much just a bottle of water with hopefully less than 1% of everything else. That is if this label is accurate the way it's printed. Phenoxyethanol is used in 1% or less concentrations (many countries prohibit its use in concentrations higher than this due to toxicity concerns...neurotoxicity and more). 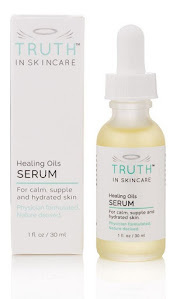 Reading some reviews over at Totalbeauty.com it seems that more that an acceptable share of customers have complained that the product burns their eye region. 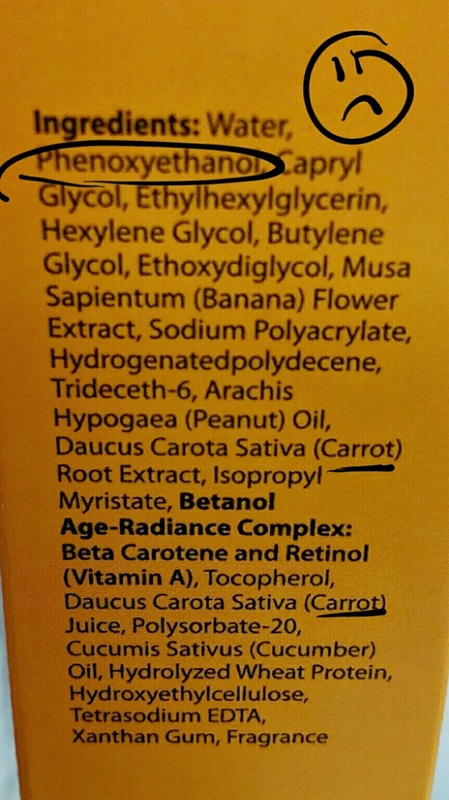 So let's just say there ain't much carrots in this product. Enjoy your weekend all! Thanks for reading. This was a good darn read!!! I am leaving enlightened! Thank you for your post - it's so great to see that at least someone understands how much 'fabulous' stuff in skin care products at less than the amount of preservative! But I have to say that I've never seen a preservative used as the 2nd ingredients. Wow.